The Alpharetta & Old Milton County Historical Society is guided by its motto "Preserving the Past, in the Present, for the Future." 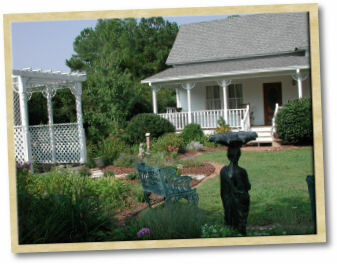 Its collections of Alpharetta and old Milton County historical and genealogical information have been recorded, archived, and kept alive at the historic Mansell House and Gardens, and are available for the public to view. The Society continues to grow and gather more historical material as it becomes available. The Old Milton County Historical and Genealogical Society held its first meeting on August 21, 1979. In 1980 the group was incorporated as the Alpharetta, Old Milton County, Georgia, Historical and Genealogical Society. It was re-incorporated as the Alpharetta & Old Milton County Historical Society Inc., in 1994. Today, the Society, a non-profit 501(c) (3) organization, maintains an active role as the organization responsible for the collection, preservation, and dissemination of accurate historical information related to Alpharetta and old Milton County. The Mansell House and Gardens, a beautiful and unique 1912 Queen Anne style house with a fabulous garden setting, is available to rent for special occasions such as weddings, receptions, dinners, showers, parties, and meetings. Experience the elegance of a bygone era, circa 1900's. It's our community, join in the fun! Learn more about your community, its history, & its people.